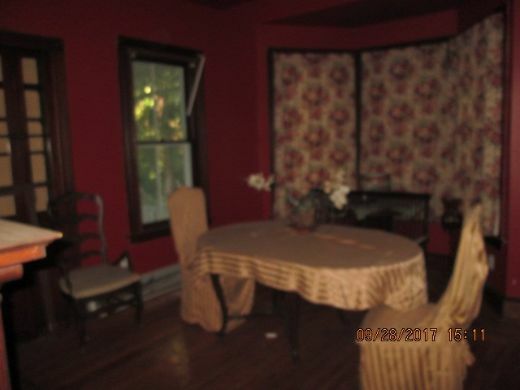 Once a grand Victorian, now in need of repairs, this old word charmer is just what you are looking for, formal dining room, parlor, 2 fireplaces, wood floors, balconies, easy access and more. Thanks RachelMed for sharing and CharlesB for finding the additional photos. 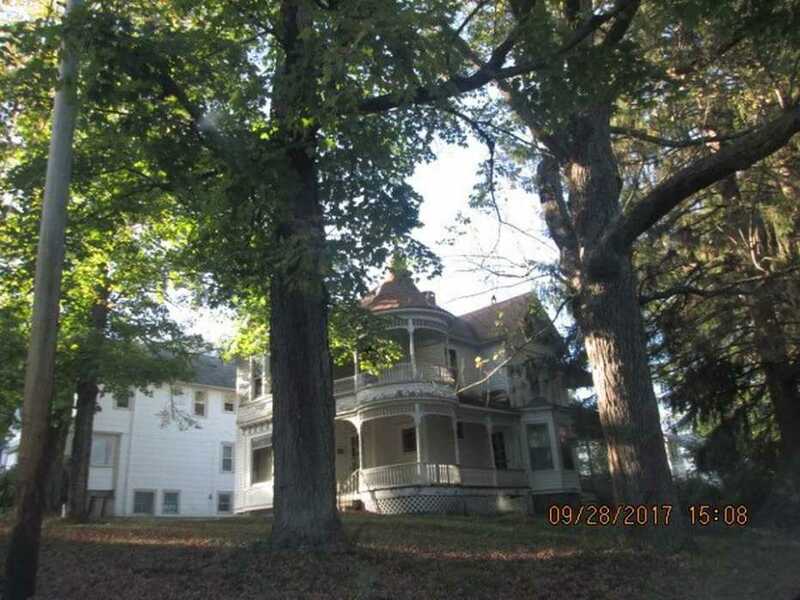 That rounded porch with the witch’s hat roof and railing and filigree details really makes this a sweet little house. 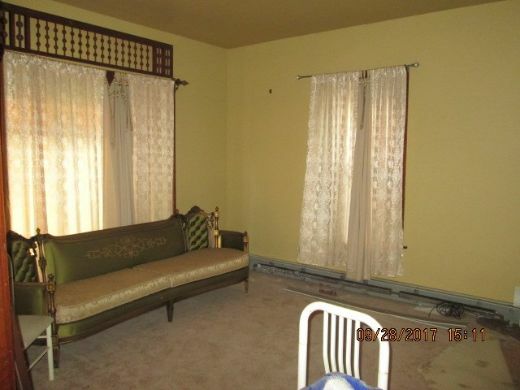 The interior could use a little help though starting with a good couple runs to the thrift store and dump. Sad to see. But at least the price seems reasonable and overall it appears to be not too far gone. 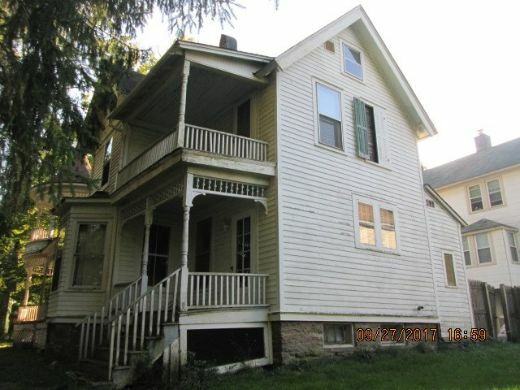 Hopefully it will get more gently restored than gutted and revamped for a cheap and easy rental. I agree, but it’s a pretty style and can still be saved – hopefully someone will see what we see. OMG! The woodwork’s not painted white! 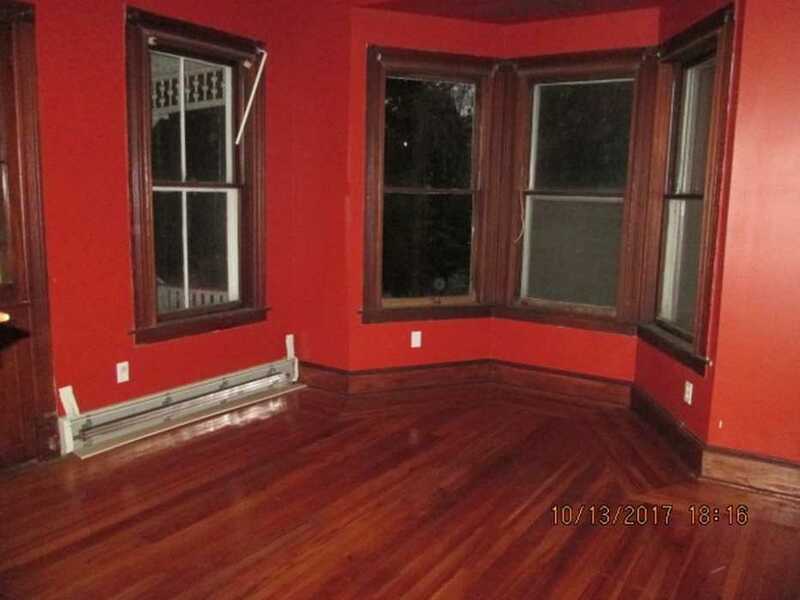 None of it’s painted! Definitely not white, anyways. 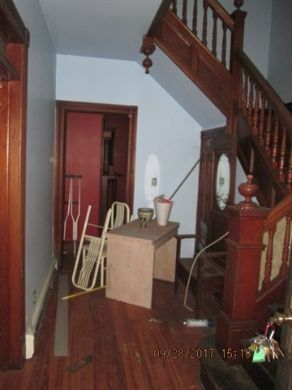 The woodwork was never painted except for the kitchen and the very back upstairs room…..it’s all chestnut. Other than being full of stuff, the interior looks very fixable and the exterior is enchanting. My husband and I bought this house in 1979 from an elderly schoolteacher. It was virtually untouched. We lived it and restored it until we sold it in 1989. The condition it is in breaks my heart. 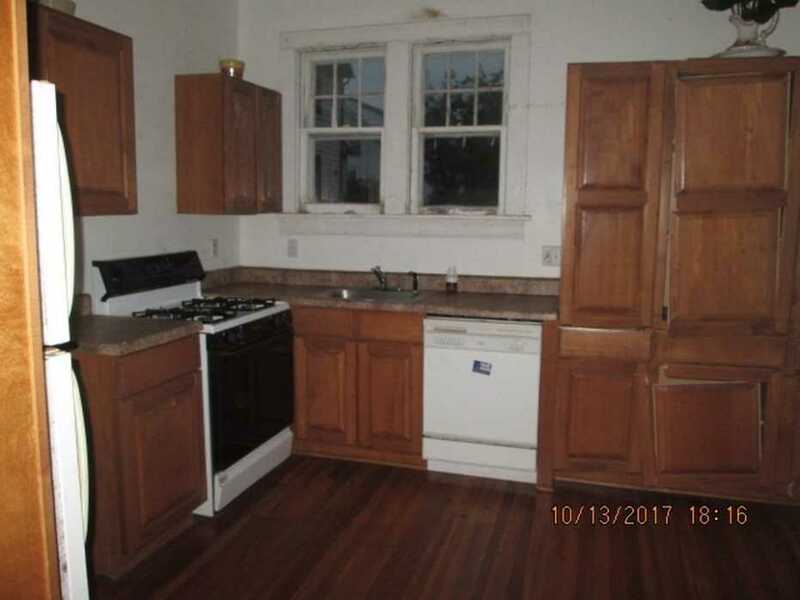 When we left, only the kitchen needed to be redone. I hope someone buys it and lived it as we did. It’s a wonderful house. The history of the house was written on the back of the dining room mantle….we discovered it when we were working in the room. what is the neigborhood like? I love your personal history of the house! 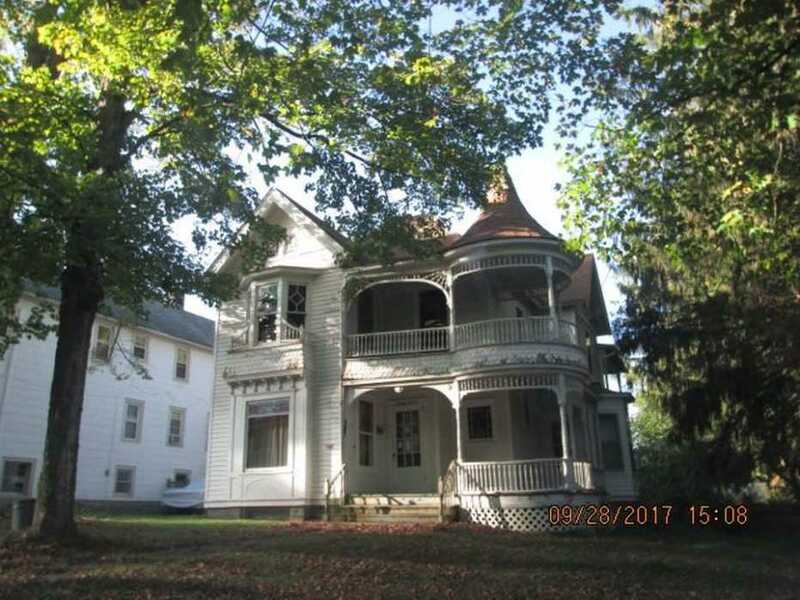 I know how I would feel if I saw either the house I grew up in or my first house with my husband showing up here in bad shape. It would break my heart. That said, I did grow up in Sullivan County, and left there in 1979 – and the area has not fared well in recent years. I don’t know if Liberty is as hard hit as Monticello is, but I don’t think I’d want to buy a house in either town at this point. We took a drive through the area a couple of years ago on our way to Bethel Woods (the Woodstock museum) and I was shocked at the change. This is another example of George Barber’s wonderful collection of home designs. In fact, this is a very important home because it is an example of one of his earliest published designs. I have been trying to get more info and photos of this gem for years now. 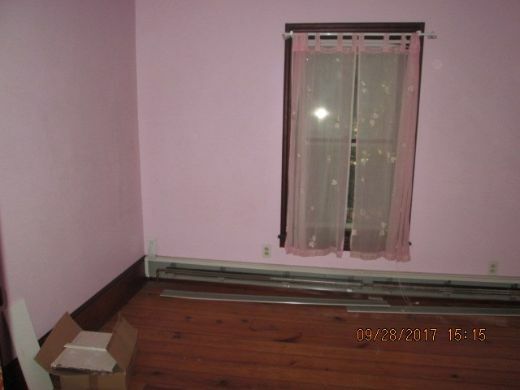 Deckysnana, would you please reach out to me directly, via my crdimattei@gmail.com email address, so I can correspond with you about your time owning this home? 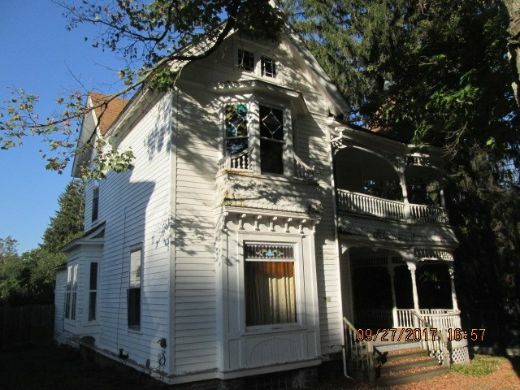 If ever there was a home worthy of restoration and preservation, this is it. Someone, please save her. to pot like this. I would love to see it when it was first built! A simplified version of No. 7 from The Cottage Souvenir (1888). I’ve noticed that Barber’s drawings look taller and less wide than the actual houses. This one can be salvaged for sure. Can anyone advise, if it has a garage? No garage unfortunately..driveway is just a pull in space….we were told that this house was built as a guest house for large mansion just down the hill….there was a huge carriage house that probably served both houses. 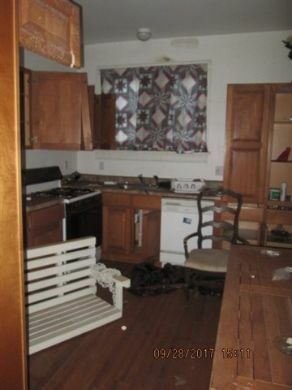 The interior is very close to the floor plan of #7 …..especially in the front part….Kitchen was toward the back, no bedroom on the first floor, but there is a bathroom. 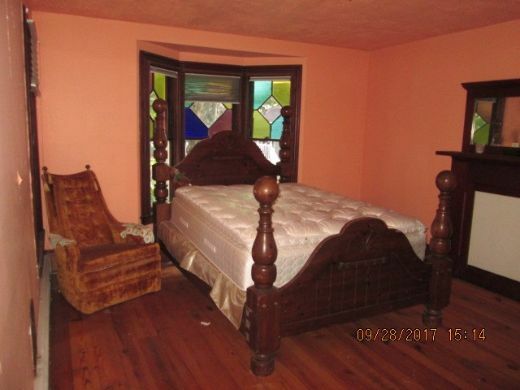 From what I can tell from these pictures, all the fretwork, stained glass, built ins remain. 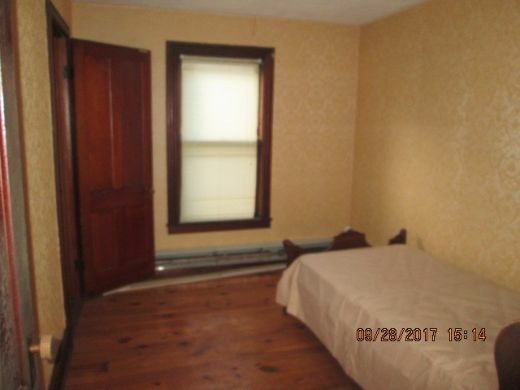 It wasn’t a fancy house, but the details were very fine….gorgeous woodwork was chestnut….only oiled, never garnished. 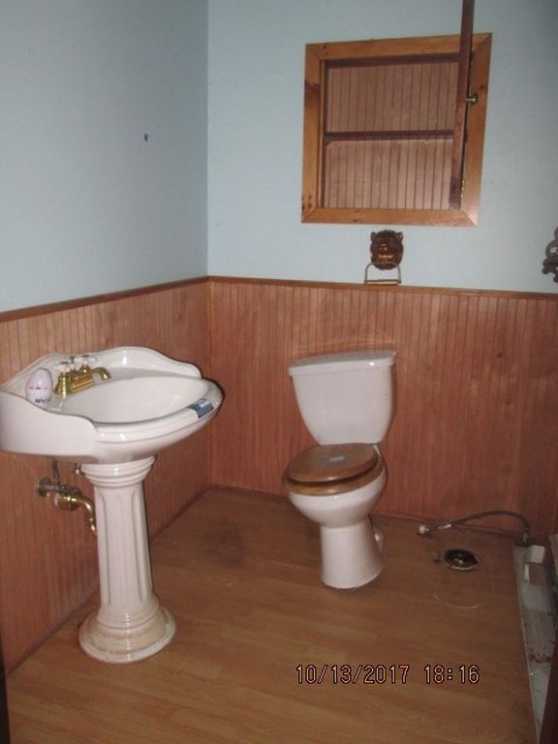 There are no pictures of the upstairs bathroom….that worries me. It had a great clawfoot tub, pedestal sink and gorgeous wainscoating. 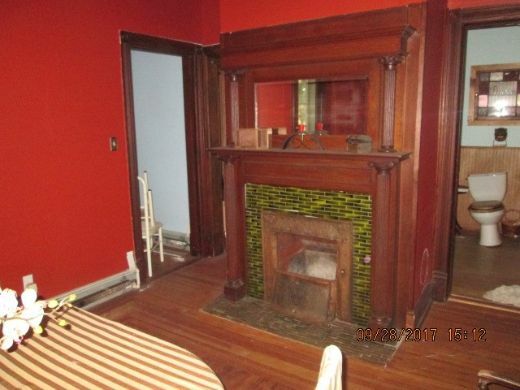 There was a label on the back of one mantel indicating that it had been shipped from New York city in 1898. 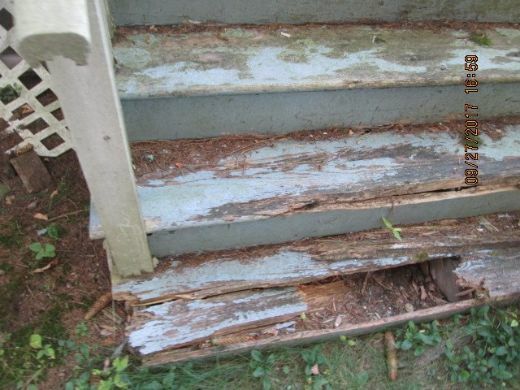 Interesting note….There was an upright grand piano that could not be removed from the house without dismantling the front door….we think it was brought in before the house was finished! 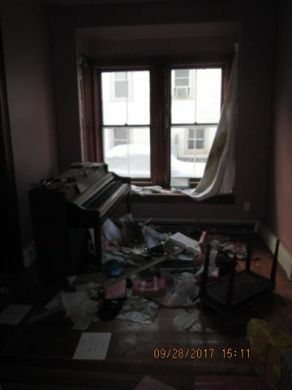 I don’t think the piano is a grand. More likely a spinet. The house is gorgeous! Someone is going to get a great deal. We took out the front door and took the upright grand with us…..and I still have it….. Pictures!! I’d love to see pictures! Both of the upright grand, and the house from your tenure there!